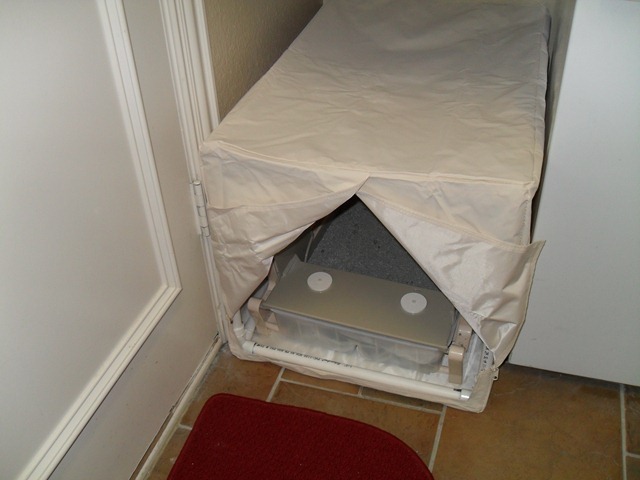 My wife purchased one of these Litter Maid covers (i.e. 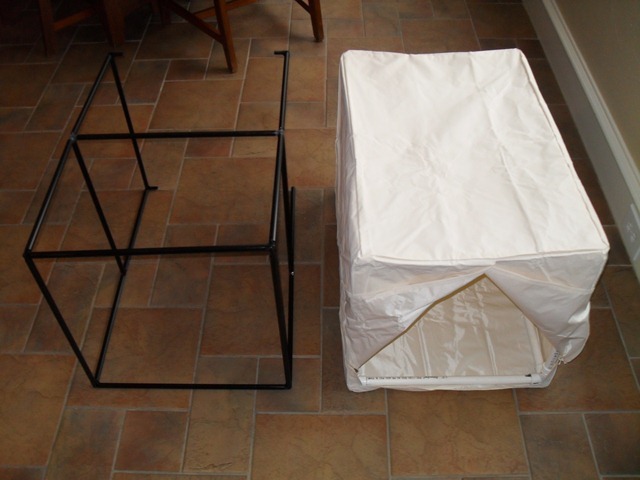 Cat Privacy Tent…ha, ha) because one of our newly acquired cats has some messy restroom habits. These habits cause my wife to have to clean all around the electronic litter box, which she despises. So, she purchased one of these and began to put it together. Well, needless to say, it’s not engineered very well or very sturdy. 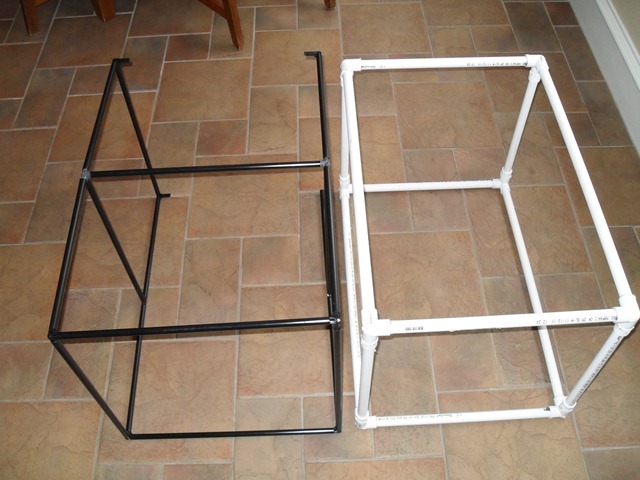 The original frame is constructed of flimsy 1/2” outside diameter plastic tubing. There are numerous connectors that allow you to connect all the pieces like Tinker Toys. 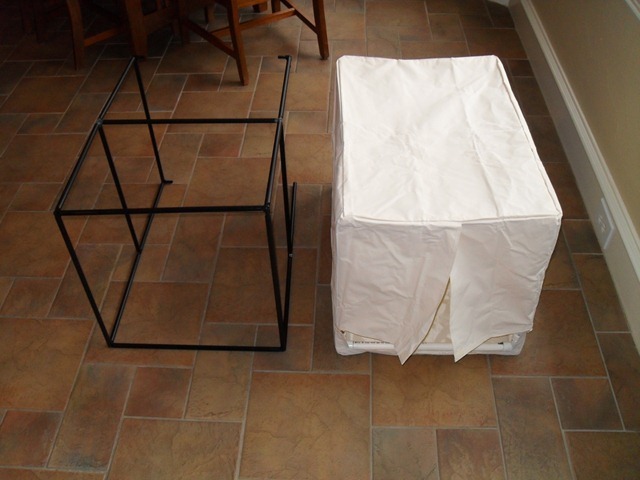 Bad part is, after putting it together, it is almost impossible to zip the top and bottom halves of the cover together. It appears to be 1/2” – 3/4” too tall. Seems like it was made to be more like a convertible top, where you have to really stretch the material (plastic) to join it. This ain’t something that most mere mortals will be able to do without a heat gun or something to really soften the cover material so it will stretch easily. Plus, while attempting to zip it together, my wife busted one of the 3-way connectors. That makes it pretty worthless. The original frame size is about 28” x 19” x 19”. The new design uses 1/2” schedule 40 PVC and is resized as 27-3/4” L x 18-3/4” W x 18-1/4” H. You can see my notations on the original instructions. A typical PVC connector has a 3/4” receptacle and increases the overall length by 1” when the pipe is buried into the receptacle its full 3/4” depth. Since I couldn’t find 3-way connectors with all slip connections, I had to use 3-way connectors with 2 slip and 1 threaded connection. This meant that I used adapters for the vertical sections, which took another 1” (x 2) off the length pipe needed. 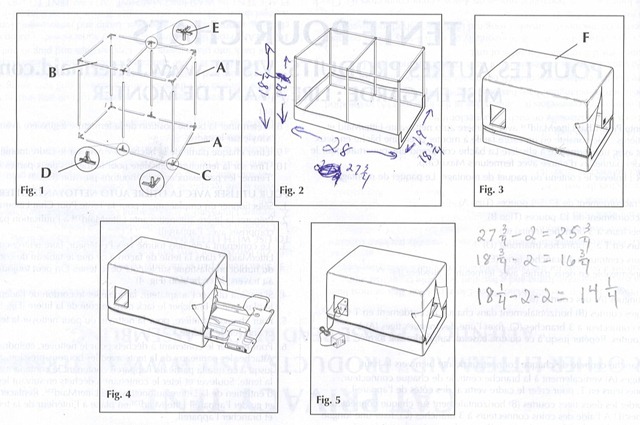 That’s where the 18-1/4” – 2 – 2 = 14-1/4” calculation comes from (subtracting 2” from each side to allow for the connectors). If you’ve never worked with PVC before, all I can tell you is to make sure you have things lined up because the PVC cement sets fast. I built the long top and bottom pieces first, then screwed the adapters into the corners and finally joined the top and bottom together. Not hard, but if you screw up, you might be starting over! Putting it together ends up looking like this. After installing the bottom part of the cover. 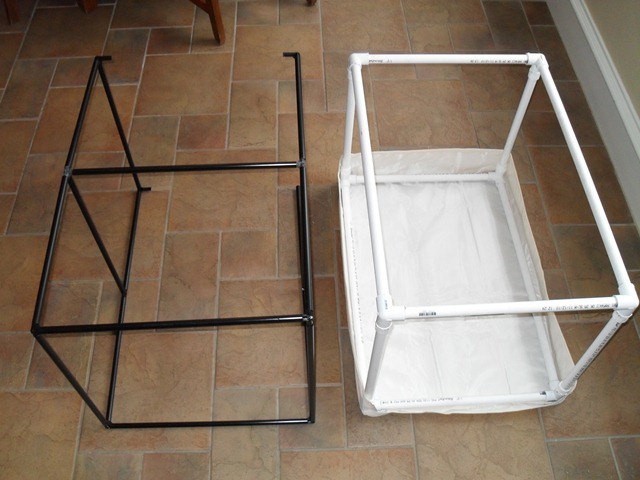 Here’s the top and bottom covers placed on the new frame. Testing out the operation of the Velcro tabs. Here’s what it looks like closed. 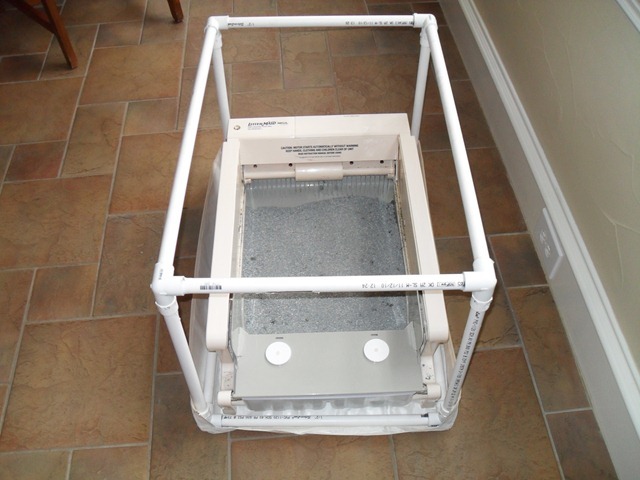 Placing the Litter Maid in the frame with the lower cover installed. And finally, the top cover in place and the whole thing put back in its place. Fits purrrrrrr-fectly! This entry was posted on February 27, 2011 at 8:24 pm	and is filed under Misc Repair. You can follow any responses to this entry through the RSS 2.0 feed. You can leave a response, or trackback from your own site.